Owners manuals for Craftsman car reader model 47156. 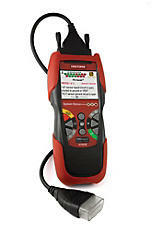 Includes introduction to OBD, vehicles covered, first use, diagnostic trouble codes, monitors, using the reader. 60 pages.